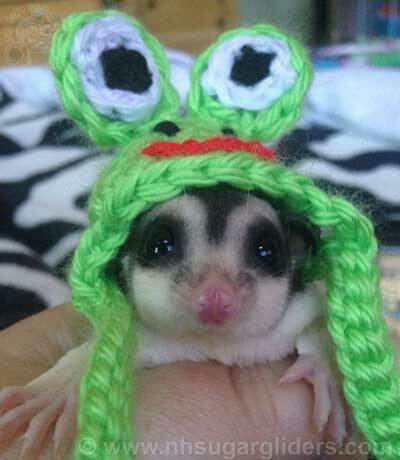 Sugar Glider Hats! Great For Pictures! Sugar Glider Hats now in store!! Dress up your lil one for picture time with a cute glider sized hat in all different themes. Please note, hats should only be used with supervision for pictures, do not leave this in your gliders cage.